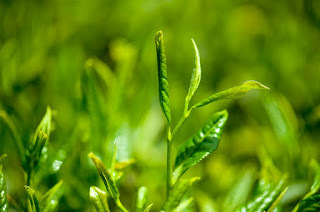 Camellia sinensis: is a species of evergreen shrub or small tree. Camellia sinensis is native to East Asia, the Indian Subcontinent and Southeast Asia, but it is today cultivated across the world in tropical and subtropical regions. A study published by he Journal of the American Medical Association concluded that green tea consumption is associated with reduced mortality due to all causes, including cardiovascular disease. An analysis of published studies in 2011 found that consuming green tea, either as a beverage or in capsule form, was linked to significant but modest reductions in total and LDL or "bad" cholesterol. Drinking green tea or coffee on a regular basis is associated with a reduced risk of stroke, according to a study published in the journal Stroke: Journal of the American Heart Association. The lead author of the study, Dr. Yoshihiro Kokubo, Ph.D., said, "This is the first large-scale study to examine the combined effects of both green tea and coffee on stroke risks. You may make a small but positive lifestyle change to help lower the risk of stroke by adding daily green tea to your diet."